•Love to garden? The Rotary PlayGarden needs landscape maintenance! You do not need to be an expert gardener you only have to have a love for it! • Once in a while we close the PlayGarden for more intense cleaning. If you’d like to join us for one of these sessions, you will be rewarded with food! • You can also help between 9 and 10 a.m. when we do routine cleaning before opening. Using a leaf blower on the sand areas is pretty fun. 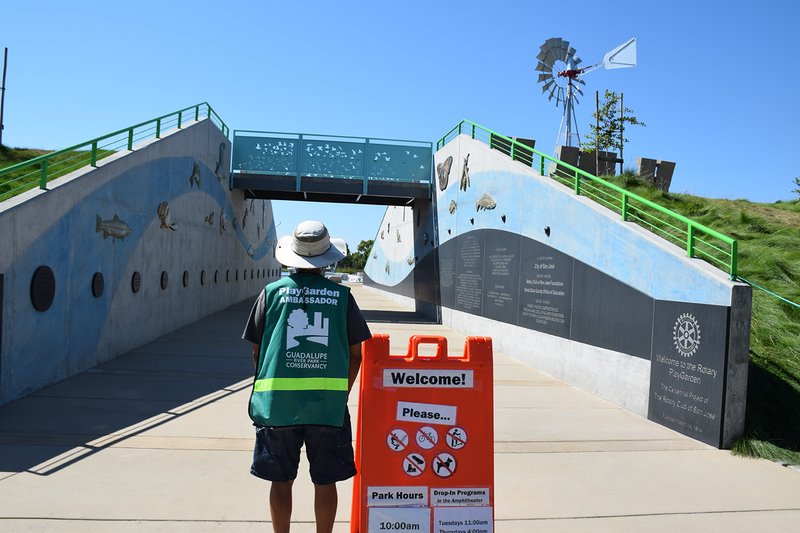 Volunteers who help during operating hours will be asked to wear a cute PlayGarden Ambassador vest, which will instill you with authority! We do not require a big time commitment, even 1 hour a month would help, but we do need you to be reliable and punctual. Interested individuals can sign up by e-mailing volunteer@grpg.org or calling 408-298-7657.